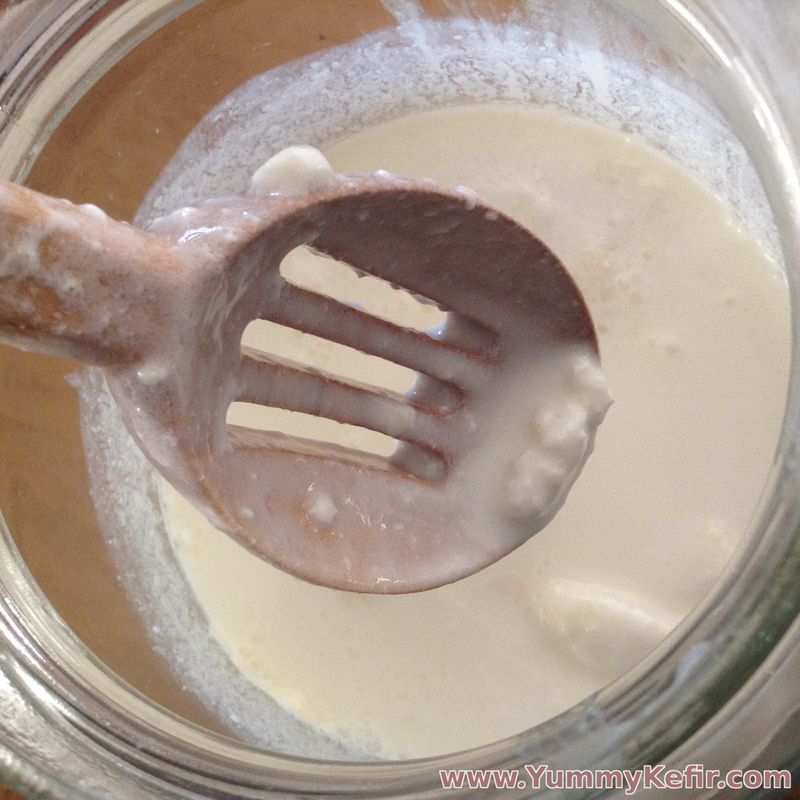 Place your milk kefir grains and your milk in a large glass container. Your jar should be no more than ¾ full to allow for possible expansion. Cover the jar and let sit at room temperature, out of direct sunlight, for approximately 24 hours. After 24 hours, remove the lid and stir the mixture using a wooden, plastic, or stainless steel spoon. Pour the milk kefir through your strainer. Gently stir the grains until most of the kefir has gone through the strainer. Place the milk kefir grains (and whatever else did not easily strain) back into the glass container and pour new milk over the grains. Your strained milk kefir is now ready to be used. If you are having trouble with your milk kefir, please visit our FAQ about milk kefir. Visit this link for milk kefir recipes that you can use once you have your first batch of milk kefir.